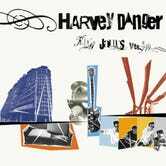 When I say "Harvey Danger" I'll bet your mind immediately jumps to "Flagpole Sitta." Stop that. While not a bad song, it's not their finest work. "Sad Sweetheart of The Rodeo" is leaps and bounds above. Off their album King James Version—which I must confess I have not heard in its entirety—this song has everything you need from a solid pop song: a guitar riff that's simple but gets the job done, lyrics that are both clever and a little bizarre, and most importantly, a chorus with a crooning falsetto hook. It's all there. Don't get me wrong, I loved me some "Flagpole Sitta" in my day. But this, this is the song I wish I'd fallen in love with way back when.